Valtatie 30 - Over 40,000 square feet of state-of-the-art technology. More than 40,000 square meters of space equipped with top technology. 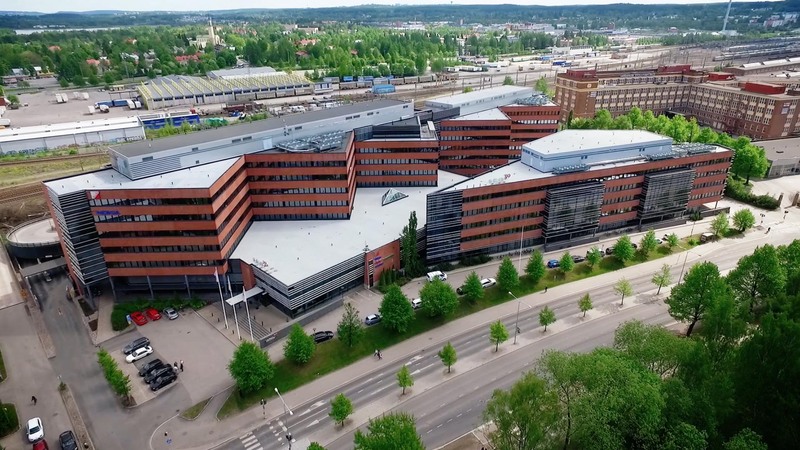 Located near the center of Tampere and well served by transport links, Valtatie30 is a modern hub for business. Valtatie30 is an ideal home for medium-sized and large companies. The property accommodates some of the leading businesses in Finland. Thanks to its former use and current tenant requirements, all building infrastructure, including IT and security, is top of the range. Are you looking for high-quality facilities for meetings, with catering to match? We can accommodate anything from small meetings to large events of several hundred guests. Our meeting services are designed to suit your meeting requirements, whatever they may be. Our reception is there to welcome and guide visitors. At Valtatie30, you and your meeting guests also benefit from updated, light and comfortable premises. All rooms have state-of-the-art equipment and a fast WLAN connection. Valtatie30 stands on the Hatanpää highway, close to Tampere city center. Opposite lies the historical Hatanpää mansion and parkland as well as Lake Pyhäjärvi. Restaurant Valtatie offers high-quality restaurant and meeting services near the center of Tampere in a location that is well served by transport links. The restaurant serves a tasty lunch on weekdays. Evening and weekend opening hours are by prior arrangement only. Welcome! On weekdays, the spacious and light restaurant Fazer offers a lunch menu of tasty meals made with fresh and varied ingredients. We also have food and freshly baked bread to go. Our take-away counter offers sweet and savory pastries to brighten the day as well as a selection of other energizing treats and snacks. Our professional staff will take care of coffee breaks and top quality catering according to your wishes, whatever size the event. We provide your company with efficient office space solutions supported with any services you might need. Thanks to its former use, Valtatie30 boasts cutting-edge IT infrastructure. The property is ideal for medium-sized and large companies. The different facilities are approximately 200 m2 to 5,000 m2 in size.